This is a list of relevant Fellowship programs at MIT. The list features a short description and link to each program’s website where you will find more detailed information. If you have a correction or a submission to add, please let us know by email to info@cambridgefellows.com. Elizabeth Neuffer Fellowship The Elizabeth Neuffer Fellowship is organized by the International Women's Media Foundation (IWMF) and the friends and family of Elizabeth Neuffer, a Boston Globe reporter who was killed in May 2003 while covering the war in Iraq. The fellowship supports women journalists who report on human rights and social justice issues, and combines research opportunities at CIS and other Boston-area universities with opportunities at the New York Times and the Boston Globe.Neuffer Fellows-who are resident at MIT's Center for International Studies-design a program that combines academic research with practical experience covering human rights. They also play a key role in the Elizabeth Neuffer Forum on Human Rights and Journalism, a program held each May. Hubert H. Humphrey Fellowship Program The Institute of International Education in collaboration with a network of U.S. universities administers the Hubert H. Humphrey Fellowship Program. The SPURS Program, as one of the host universities, welcomes 12 Hubert H. Humphrey Fellows to MIT's Department of Urban Studies and Planning for the academic year 2011-2012. Between 1979 and present, over 150 Humphrey Fellows participated in SPURS. They continue to support and demonstrate the benefits of the strong collaboration across both programs. Knight Science Journalism Fellowship The basic premise of the fellowship is to lay aside the journalist's normally narrow focus on getting "the story," and instead to explore science more deeply and more broadly—to follow intellectual digressions, to learn the history of a field, to understand how scientists and engineers pursue their work. With background knowledge, our Fellows return to the workplace more confident about asking the right questions, and in turn are better prepared to communicate science to their readers.Fellows receive a stipend of $65,000 as well as some additional benefits. The program is divided between programs arranged by the Knight Science Journalism Fellowships and individually-chosen activites. In addition to these aspects, our Fellows often report that the sense of collegiality and life in Cambridge are some of the most rewarding parts of the year. Legatum Fellowship The Legatum Center seeks entrepreneurs who aspire to have a lasting and positive economic impact on low-income countries by developing their own entrepreneurial ideas and building their own local enterprises. The Center’s approach is intensely practical. Recognizing that even the best innovations can be rendered useless if not distributed effectively, we work closely with our Fellows to design not just innovative products and services, but also workable, affordable, and sustainable business distribution methods. Media Lab Director's Fellows There are people all over the world with less-than-traditional backgrounds who would be great additions to the Media Lab community. We wanted to create a program to loop them in. Our new Director's Fellows initiative creates a way for these extraordinary individuals to take part in Media Lab research alongside our faculty and students. We're bringing a cohort of characters from a broad range of sectors and geographies to join us in doing collaborative research and to expand our growing global community. 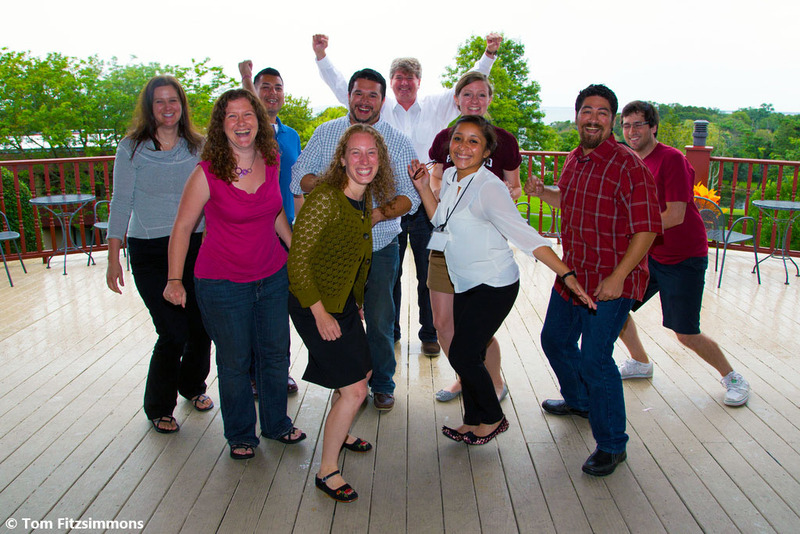 The fellows will not only work with the Lab's students and faculty, but also with each other. Mel King Community Fellowship Program The Mel King Community Fellows Program (MKCFP) is dedicated to the legacy of Mel King, a still-active champion of activist planning in cities. Mel King initiated the Community Fellows Program in 1970 as an adjunct professor at MIT. Originally, the program offered Fellows a yearlong sabbatical at MIT, where they could reflect, conduct research, acquire skills, and build new relationships. The current MKCFP builds upon this 40-year tradition of bridging practice-based knowledge and academic research. However, current Fellows continue working in their home communities on carefully-defined projects and make quarterly visits to MIT to interact with students and faculty, share lessons, access technical knowledge relevant to their projects, and deepen their connections with each other. CoLab staff, students, and faculty affiliates support the Fellows as they undertake self-directed mutual learning projects. Mellon Postdoctoral Fellowship The Mellon Fellowship is for scholarship across boundaries. Thanks to the generous support of the Mellon Foundation, MIT's School of Humanities, Arts, and Social Sciences awards two fellowships each year to promising young scholars working at the intersection of humanities disciplines, or between humanities and other disciplines. This Fellowship is especially intended for scholars who work in more than one specialty within the humanities, or bridging from the humanities with other disciplines. MIT Pappalardo Fellowship in Physics The mission of the MIT Pappalardo Fellowships in Physics is to sustain a distinguished, on-campus postdoctoral fellowship program for the Department that identifies, recruits and supports the most talented and promising young physicists at an early stage of their careers. This initiative was made possible by the encouragement and generosity of Mr. A. Neil Pappalardo (EE '64), an MIT alumnus with a long history of generosity to both the Institute and the Department of Physics.The program traditionally appoints three new Fellows per academic year for a three-year fellowship term each. Fellows are selected by means of an annual competition for which candidates cannot apply directly, but must be nominated by a faculty member or senior researcher within the international community of physics, astronomy or related fields. MIT Sloan Fellows Program in Innovation and Global Leadership After one year as an MIT Sloan Fellow, you leave this frontier of business and technology with a deep reservoir of resources. Knowledge of core fundamentals and late-breaking research, for example. A sweeping network that spans the globe. And expanded skills and capabilities backed up by the confidence to use them on the world stage. Think of the MIT Sloan Fellows Program as your change-the-world toolkit. For the past eighty years, some of the world’s most visionary leaders have done just that.The MIT Sloan Fellows Program is a 12-month, full-time executive MBA program designed to prepare an elite group of global mid-career managers to magnify their impact as leaders. Sloan Research Fellows Sloan Research Fellowships is by far the oldest program of the Alfred P. Sloan Foundation, although those who receive the grants are among the youngest researchers the Foundation assists. The Fellowship program has grown in size and cost over the years and now includes several disciplines not covered in the beginning; its purpose – to stimulate fundamental research by early-career scientists and scholars of outstanding promise - remains the same. Selection procedures for the Sloan Research Fellowships are designed to identify those who show the most outstanding promise of making fundamental contributions to new knowledge. Sloan Research Fellows, once chosen, are free to pursue whatever lines of inquiry are of the most compelling interest to them. Their Sloan funds can be applied to a wide variety of uses for which other, more restricted funds such as research project grants cannot usually be employed. Former Fellows report that this flexibility often gives the Fellowships a value well beyond their dollar amounts. SPURS Fellowship The Special Program for Urban and Regional Studies (SPURS) is a one-year program designed for mid-career professionals from newly industrializing countries. SPURS was founded in 1967 as part of MITÕs Department of Urban Studies and Planning (DUSP), which has a long-standing commitment to bringing outstanding individuals to MIT to reflect on their professional practice in the field of international development. The program is designed to nurture individuals, often at a turning point in their professional careers, to retool and reflect on their policy-making and planning skills. SPURS Fellows return to their countries with a better understanding of the complex set of relationships among local, regional, and international issues. SPURS has hosted over 590 women and men from more than 107 countries in Latin America, Asia, Africa, the Middle East, and Eastern and Central Europe. SPURS alumni/ae hold senior level positions in both the public and private sectors in their countries.